whinge: A complaint. A whinger is someone who constantly complains. yabbies: Plural of yabby. A yabby is a freshwater crayfish. Yabbies can reach up to 30 cm (12 in) in length but are more commonly 10-20 cm (4-8 in) long. drongo: A "no-hoper" or fool. Derives from a racehorse of that name in the 1920's that never won a race out of 37 starts. boofhead: A fool or someone with a large head. Or both. bunyip: A mythical creature from Aboriginal folklore. Said to inhabit dark places and billabongs. 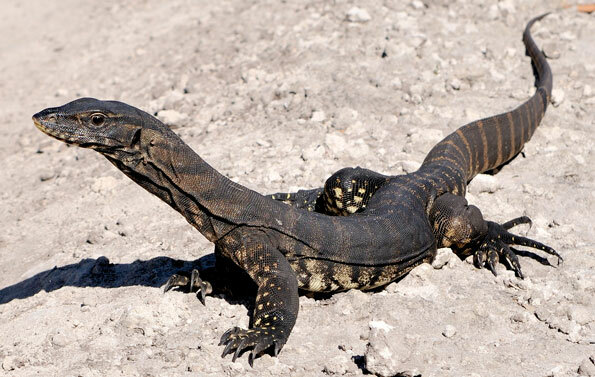 goanna: Large monitor lizard that can grow up to 2.5 m (8.2 ft) in length. Features heavily in Aboriginal folklore. kookaburra: The kookaburra is the largest member of the kingfisher family. It measures up to 46 cm (17 in) from the tip of its beak to the tip of its tail. Its plumage is shades of whites and browns, which help it to blend easily into its environment. It's laugh is actually a territorial call to warn other kookaburras to stay away. Tasmanian devil: The Tasmanian devil is the world's largest surviving marsupial carnivore. Devils have a squat build, with a relatively large, broad head and short, thick tail. Body size varies greatly, depending on the diet and habitat. Large males weigh up to 12 kg (25 lb), and stand about 30 cm (12 in) high at the shoulder. 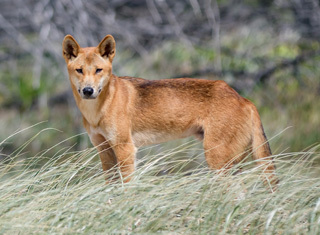 dingo: The dingo is a wild dog native to Australia. Of medium-size, it possesses a lean, hardy body adapted for speed, agility and stamina. echidna: Echidnas are monotremes, one of only two types of mammals that lay eggs (The other is the platypus). Echidnas are covered in sharp spines that they use for protection from predators. They feed primarily on ants and termites. koala: Koalas are arboreal marsupials. They are found in eucalypt woodlands, the leaves of the eucalypt trees make up most of their diet. 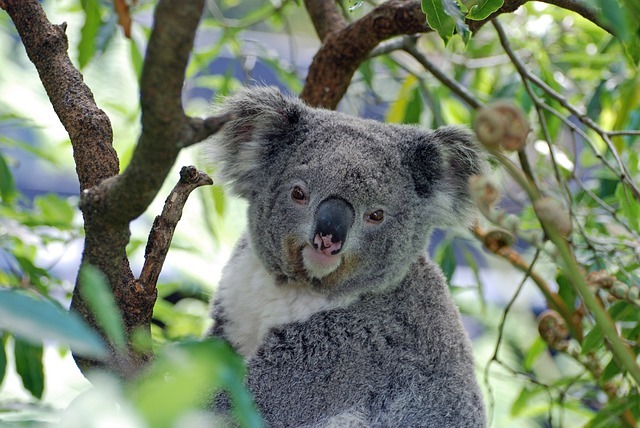 Because eucalypt leaves are of poor nutritional value, a koala may sleep up to 20 hours a day.